This beach is quieter that the other choices, popular with the locals. Quiet beach, mostly men. clothing optional. Season starts at the beginning of May, peak in August. 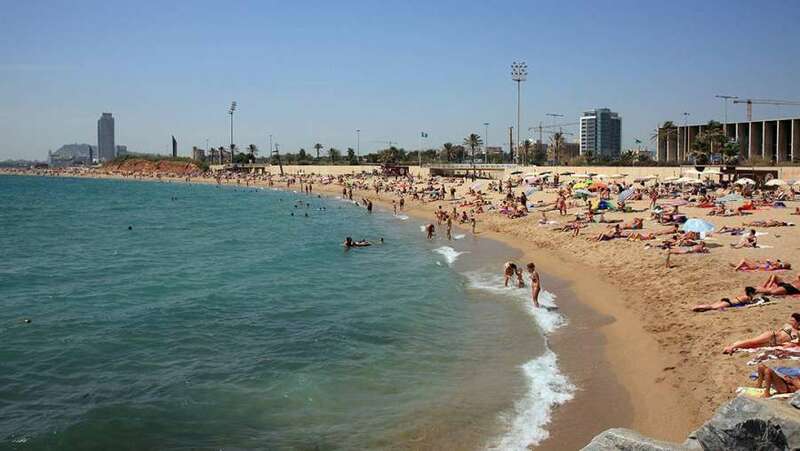 It is the most popular gay beach, but further away from the city center. Stretching 1 km from the W hotel towards the Olympic Marina. 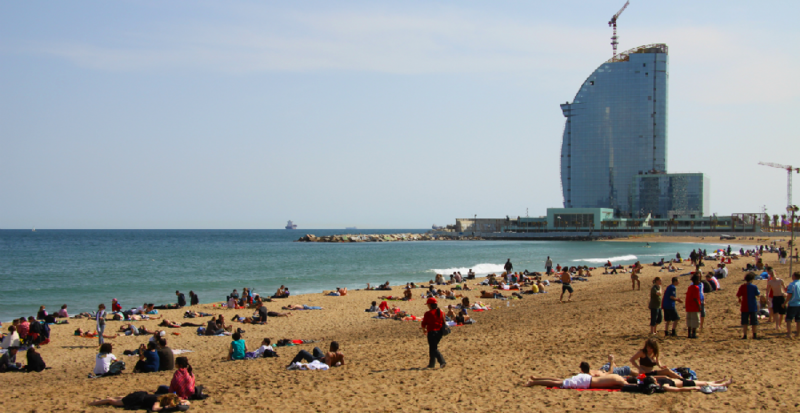 Popular with gay sunbathers, has great cafes and restaurants.